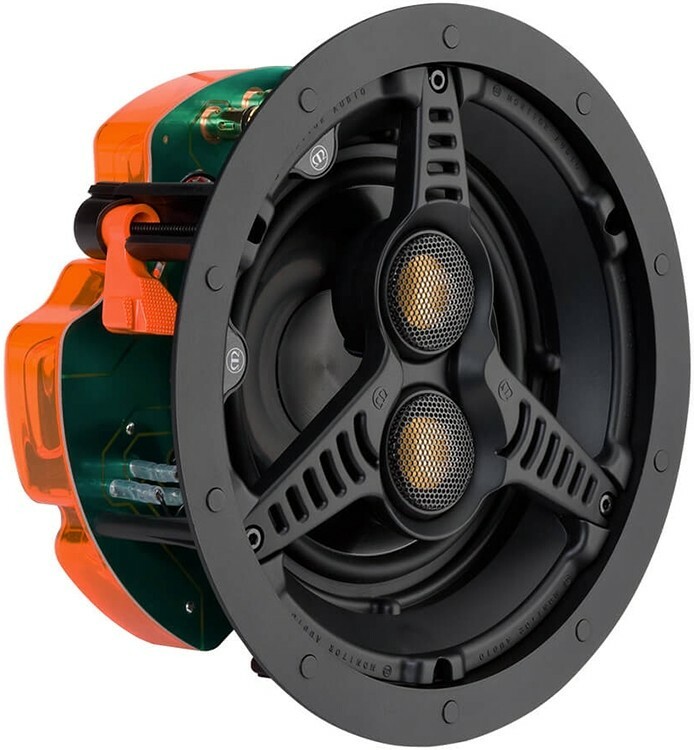 Stereo version of C165 with dual independent pivoting 1" C-CAM tweeters and a 6.5" MMP II dual wound voice coil bass driver for premium sound from a single speaker. 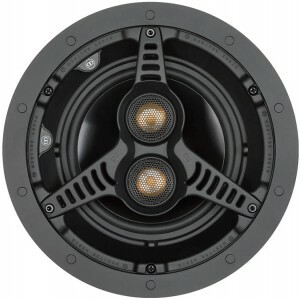 Monitor Audio C165T2 Stereo Ceiling Speaker features dual, independent, pivoting 1-inch C-CAM tweeters and a 6 1/2 inch MMP II dual wound voice coil bass driver, for high performance stereo sound from a single speaker. 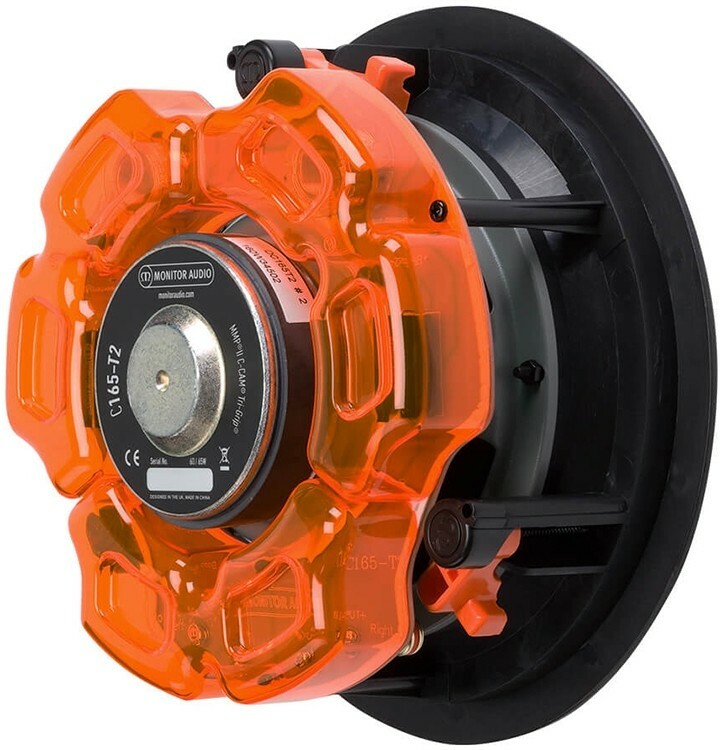 Ideal for bathrooms, hallways or other areas where space does not accommodate stereo pairs. Square or premium grille can be purchased optionally for this model.